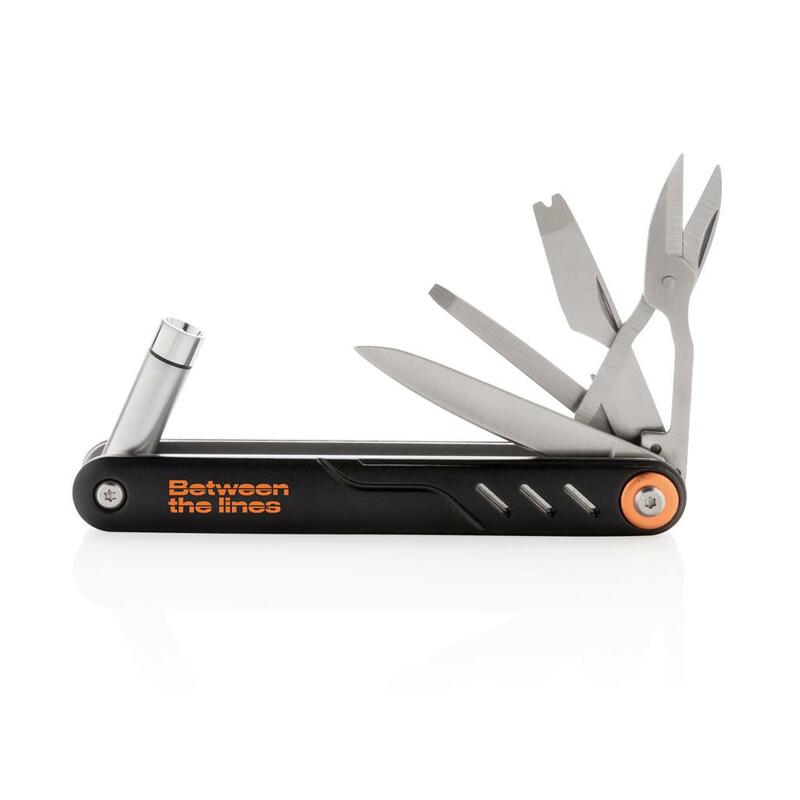 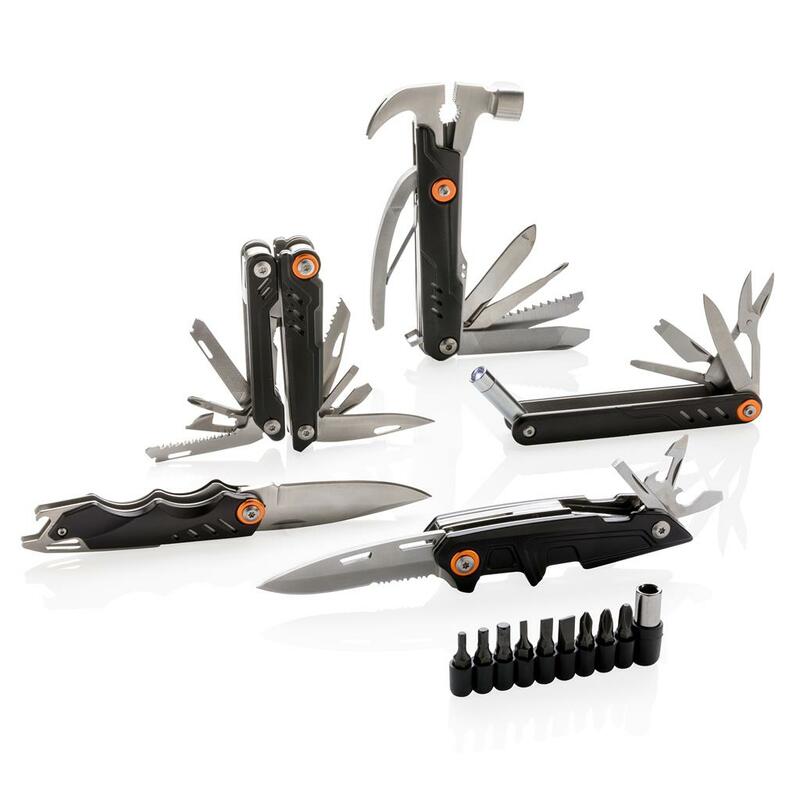 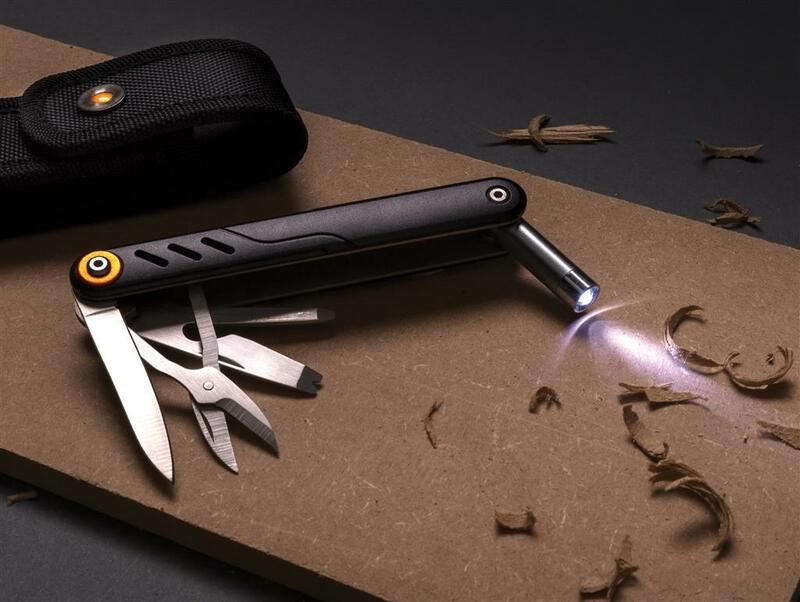 Ultra-strong tool with 9 functions. 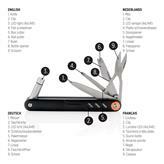 Packed in luxury gift box including high quality 1680D pouch. Aluminium material body and stainless steel tools. 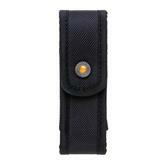 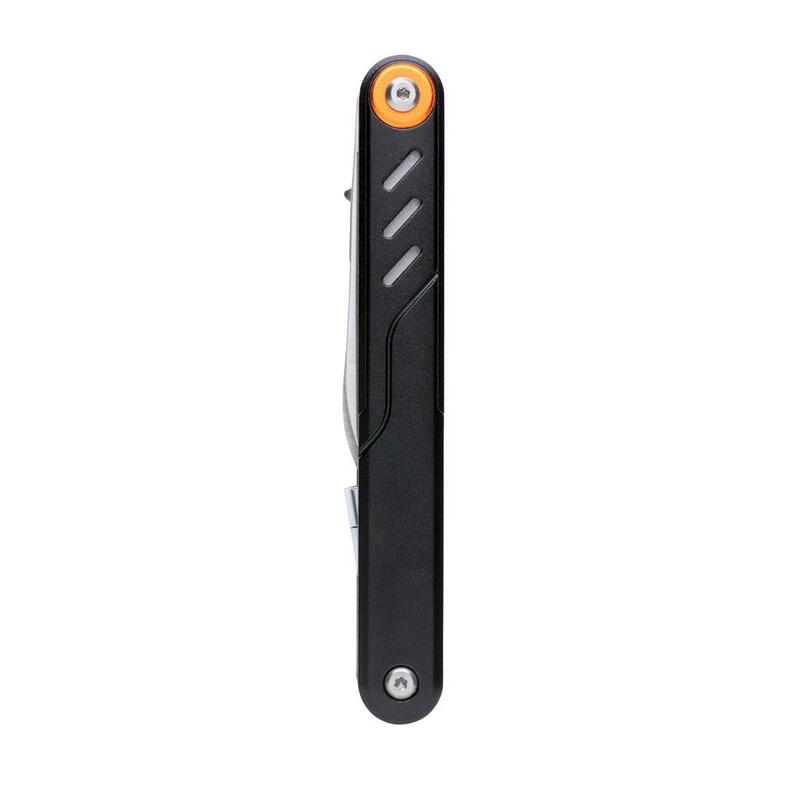 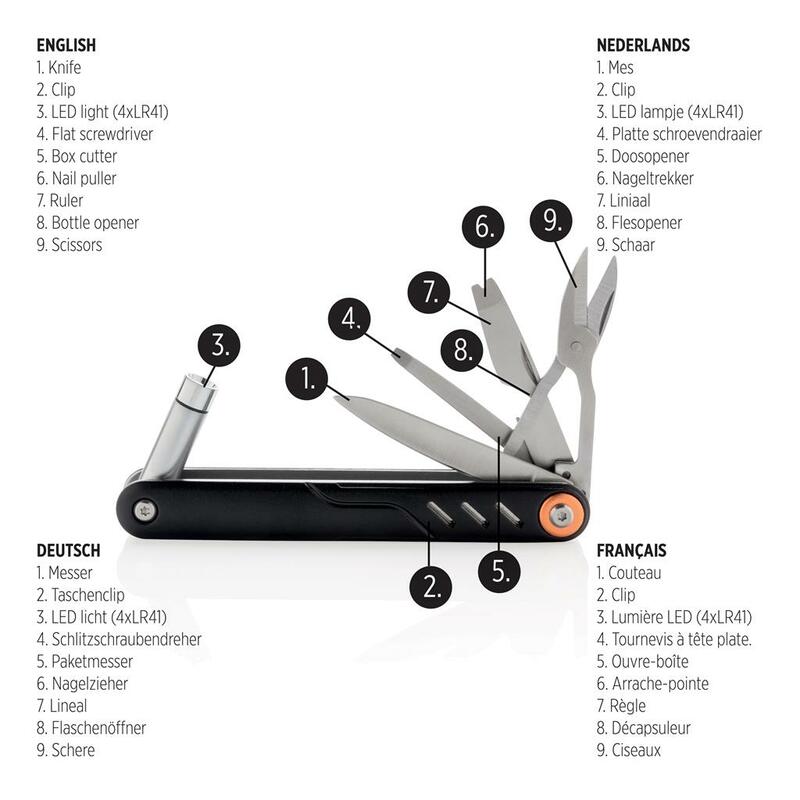 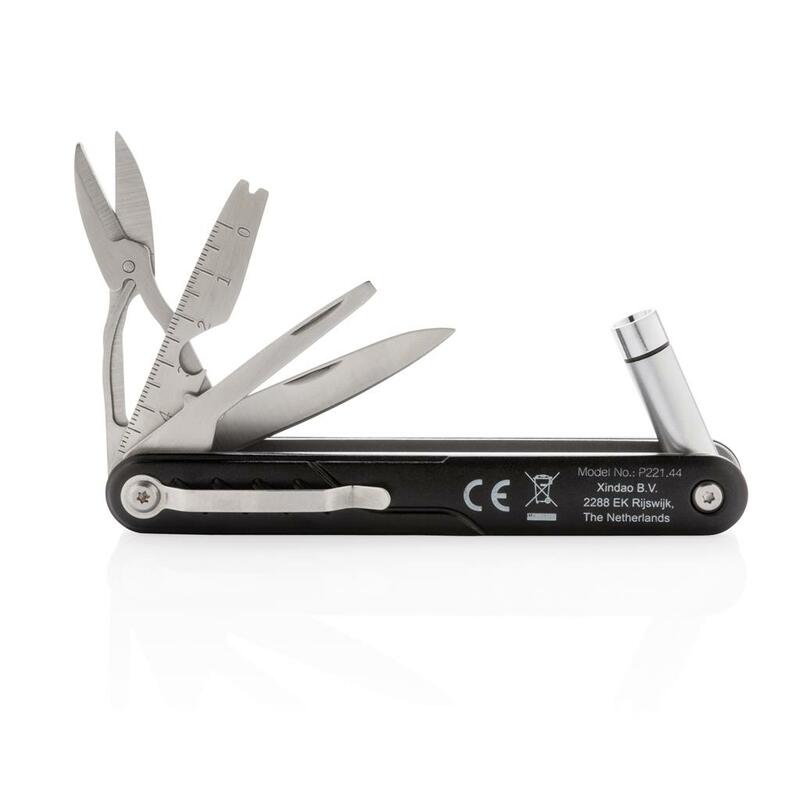 Tools include: LED light, flat screwdriver, box cutter, ruler, nail puller, bottle opener, scissors, knife, pocket clip.